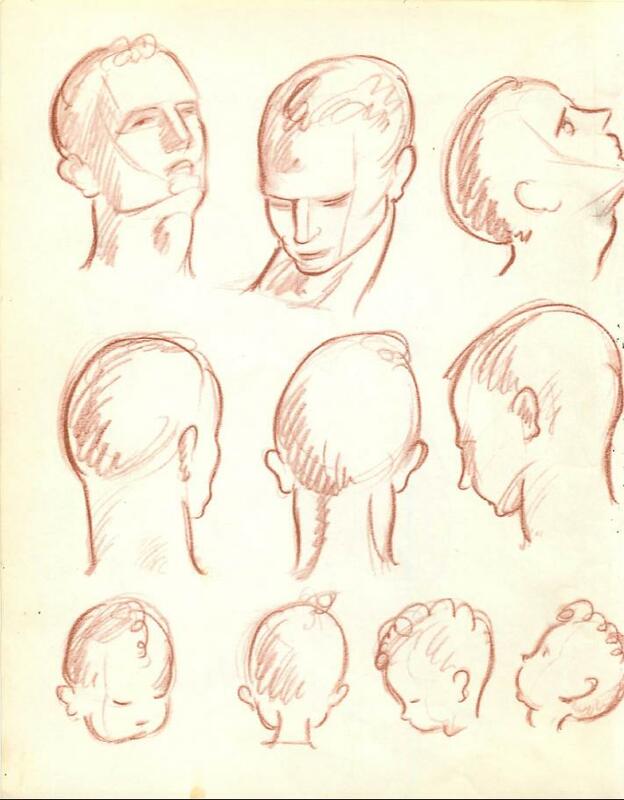 Let’s begin our study of the human figure by looking at the human head. 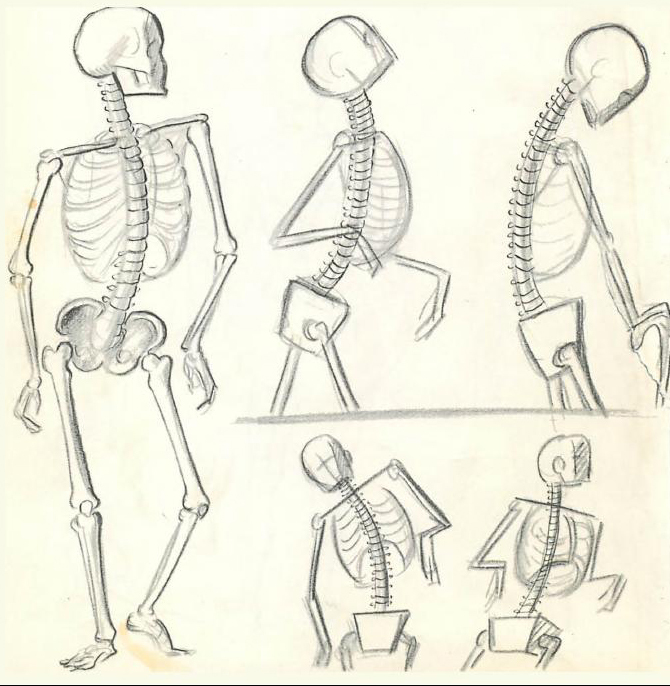 Here are its skeleton and muscle simplified. 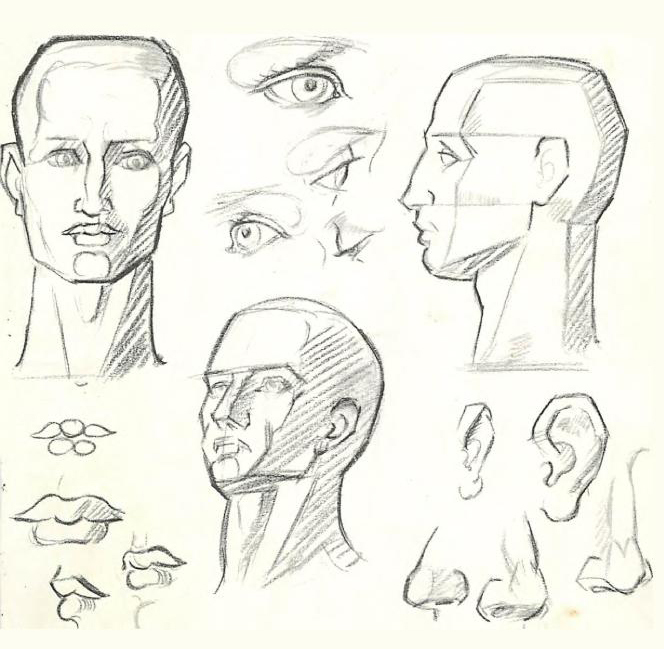 Now here are the general geometric shapes that make up the human head. 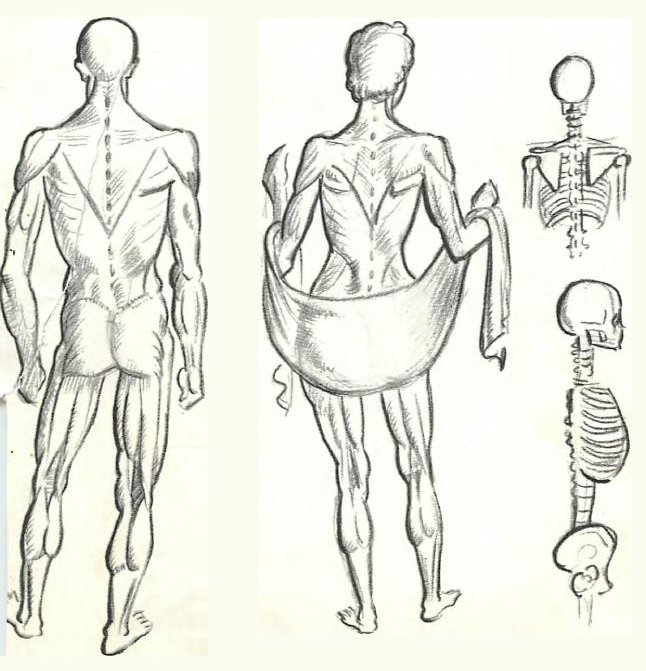 The bones and muscles and geometric shapes are alike in everybody. What, then, makes Mr. Smith look different from Mr. Brown? 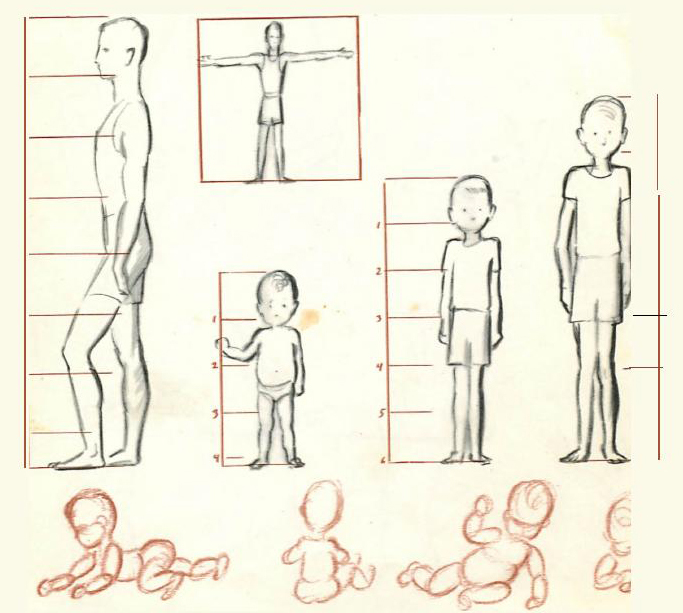 It is the proportions of his bones and muscles and geometric shapes their height, width, and thickness — compared to those of Mr. Brown. His color and hair make him look different too. 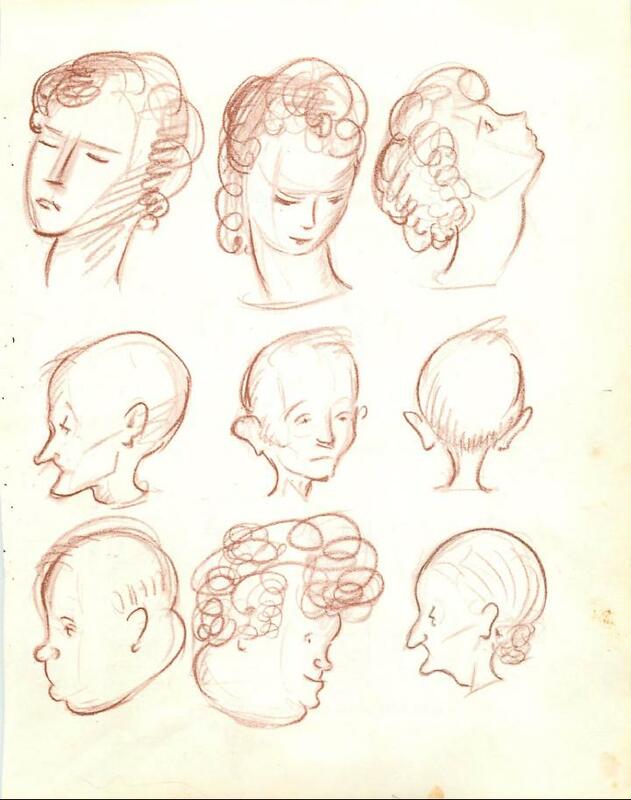 Albrecht Diirer made charts showing the different proportions of different types of heads. So did Leonardo da Vinci and other great artists. 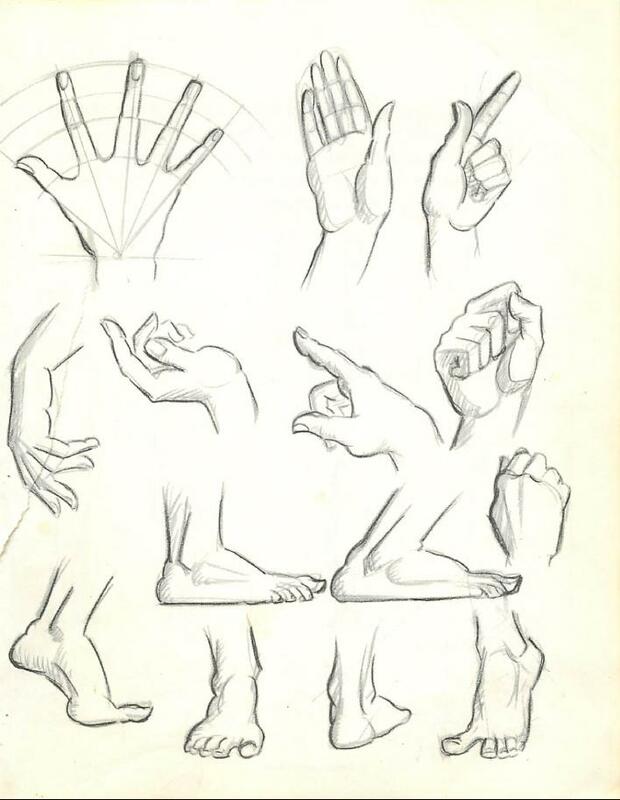 Now let’s study the simplified anatomy and geometry of the human figure and of animals. 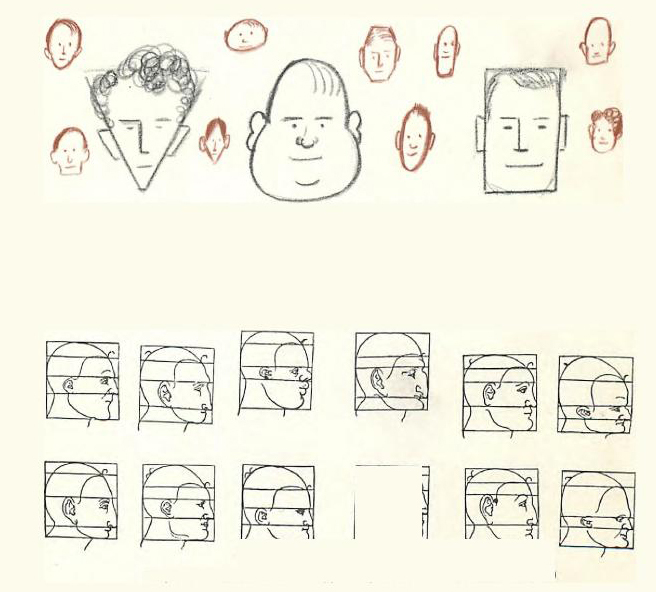 Men and women differ chiefly in the geometry of their shapes. 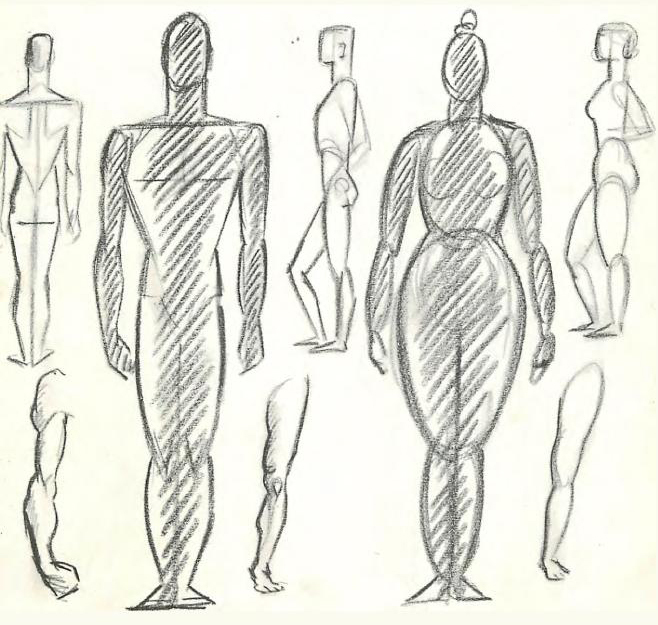 The shapes of a man are usually angular, while a woman’s shape is usually rounder. They also differ in the size of their bones and the strength of their muscles. 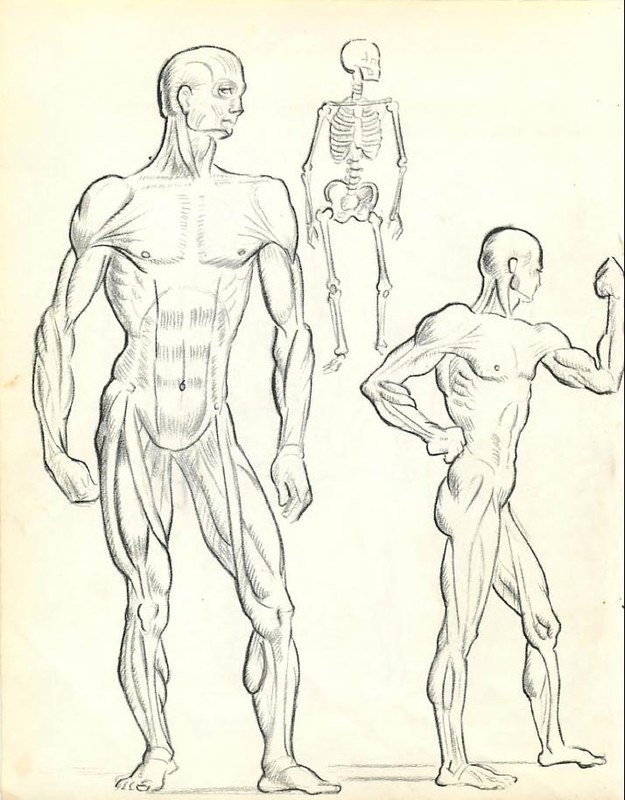 Men’s bones are larger, their muscles stronger than those of women. Women are more delicate and dainty. 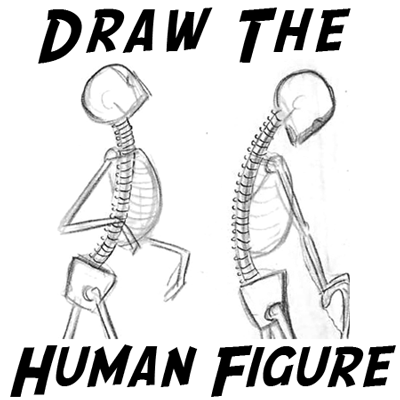 The human spine is made up of twenty-four bones called vertebrae. It bends and twists mainly in the neck and waist. The part of our spine that is attached to our rib basket bends very little when we bend forward or back. The whole spine bends when we bend sidewards. The bones and muscles of children are the same as those of grown up people. Only the proportions are different. The average full-grown man is about seven and a half heads high. A tiny baby’s head is very large in proportion to the rest of his body. As he grows, that proportion changes. Babies are round. 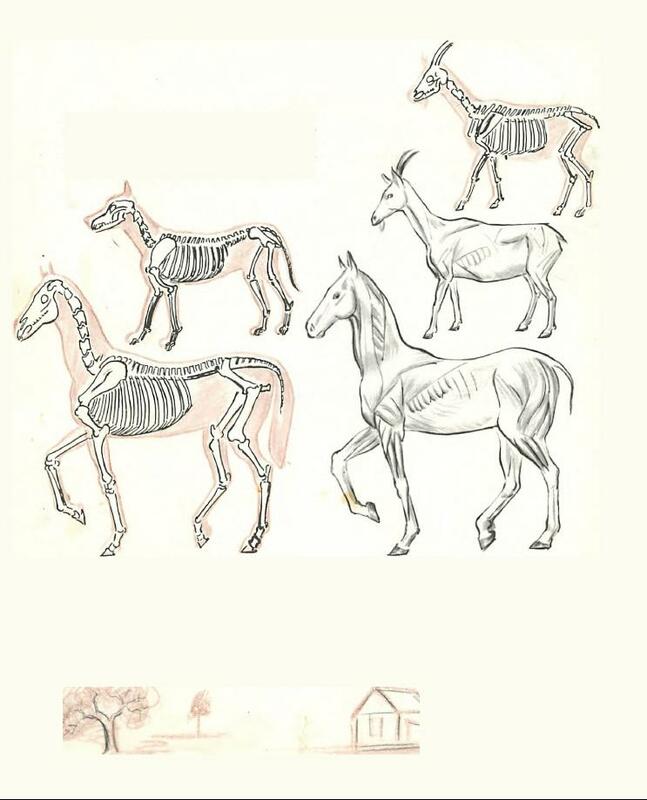 Animals resemble each other in bone and muscle structure. 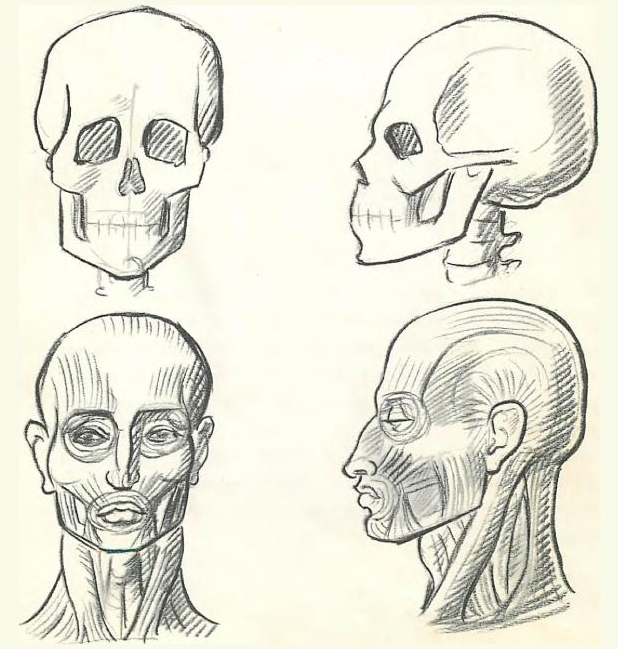 The reason one kind looks different from another is the difference in its proportions and geometric shapes, along with a few other things such as hair growth, horns, tusks, etc. Trees are not feather dusters standing on end, and should not be drawn to look like them. Trees, too, have skeletons. The trunk and branches are the skeleton of a tree. Do houses have an inner structure? Yes. The frame of a house is its skeleton. Thanks so much for this, i want to learn more on art and this helped out a lot. You are awesome!! Just happened to find this site today. I am a beginner, learning art and gosh, I love your stuff. Thank you so much for what you are doing. VERY GOOD thank you very much.. its very useful.